Speaking to reporters after attending Cabinet meeting here, Mungantiwar questioned the timing of Shuja's claims. MUMBAI: Maharashtra Finance Minister and BJP leader Sudhir Mungantiwar Tuesday demanded an inquiry against self-proclaimed cyber expert Syed Shuja over his claims that 2014 general elections were "rigged" through the electronic voting machines (EVMs), which, he said can be hacked. The ruling Bhartiya Janata Party (BJP) which had won the last Lok Sabha polls by landslide, has alleged that the Congress had organised the EVM hackathon in London in which Shuja, seeking political asylum in the US, made these claims Monday. "If there was truth in what Shuja was saying, why did he keep silent all these years? What did he fear and why is he saying all this now? Does he have evidence to back his claims? There should be an enquiry against this person. He should be caught and a thorough enquiry should be conducted into why did he keep silent till now?" the minister asked. Mungantiwar questioned the locus of Shuja in making these "baseless" allegations sans evidence. "I have spoken to chief minister (Devendra Fadnavis) on this. What proofs does he have? Are such claims made in press conferences? If there is any information, it should be provided in a police station or court," the BJP leader said. Mungantiwar said an individual holding a press conference for creating a sensation in a bid to defame a political party or an individual, is a serious issue. "The (Union) government will take this issue very seriously," he said. Shuja had also said that he fled India in 2014 because he felt threatened in the country after the "killing" of some of his team members. However, he provided no proof to back up his claim. 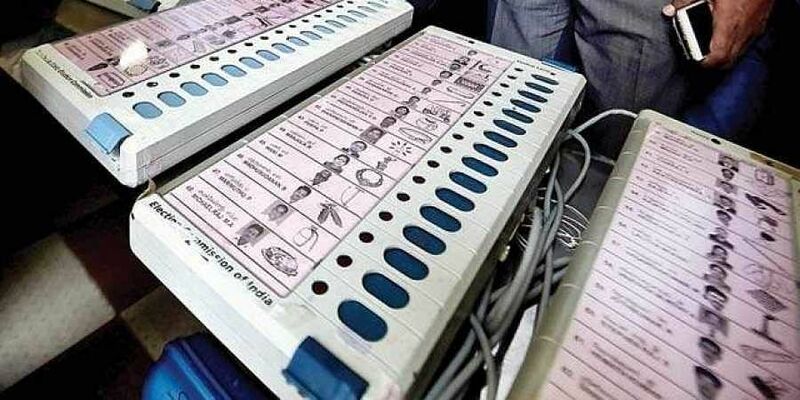 In New Delhi, the Election Commission had asserted that it firmly stands by the 'foolproof nature' of its machines even as it said it is examining as to what legal action "can and should" be taken in the matter.